As you will probably be inundated with feedback on Frontlines soon, I decided to give my feedback early on the first 2 episodes. Currently, tanks can drive into enemy territory even though it is supposed to be locked and go and spawn kill players. Your only solution appears to be an automated artillery strike. This doesn't seem to work with fast mediums or lights as they can dodge some of them. It is a bit infuriating when there are groups of spawn killers that instantly decimate any tank that spawns. I've experienced some of them and its not fun when you spawn on your territory and as you are spawning you are already half HP and can only muster a single shot before dying again. You need some kind of death timer for when you enter an enemy territory. Give players a reasonable amount of time to get out if they accidentally enter it, but not long enough to allow them to go and spawn kill. Something like a 15 second counter that auto kills them if they exceed this time. Get rid of the ineffective auto artillery as it fails miserably at killing fast tanks that know how to dodge. I do not know how to word this so I will describe the issue. Your spawn mechanic, after you die, is too random sometimes. Yesterday, I was spawned behind enemy lines (no joke I have replay). I don't know if this is a glitch or intended, but the second I spawn every enemy within sight killed me. Then after this I was put under some kind of penalty where I had to wait something like 3 min to spawn again (I was sent into spectator mode). Almost wanted to just rage quit since it was too long to wait for a spawn on something which I felt was not my fault. Additionally, your spawn mechanic sometimes places you too far from the actual objective, and if you decide that your team needs armor to defend or take an objective, well then you may be screwed. You may spawn like 500+ meters away from where the action is taking place and be too slow to get back there on time. 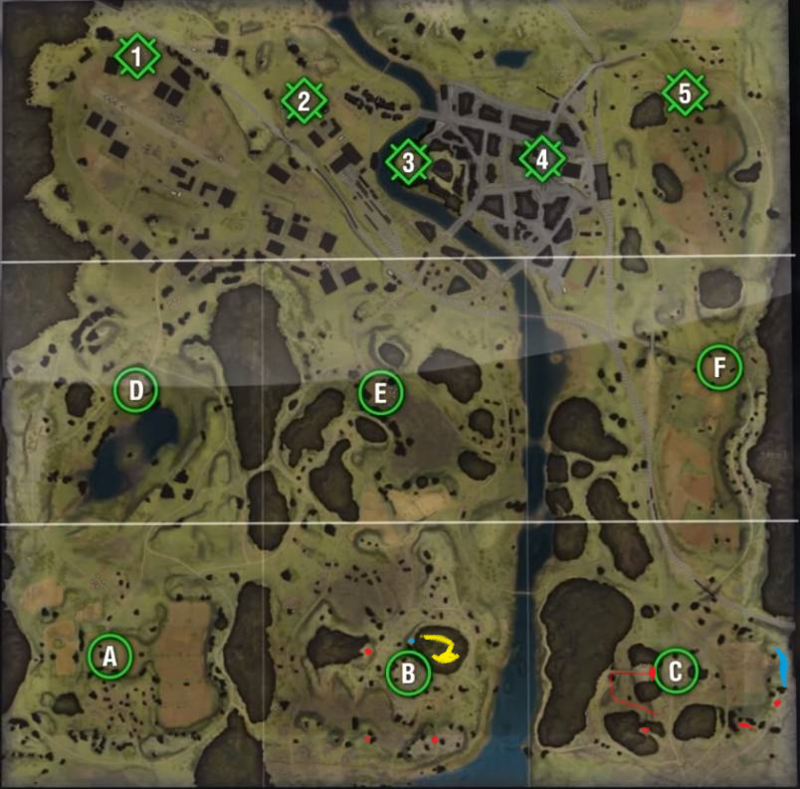 Give us 3 general areas where we can chose to spawn (like Alpha, Bravo, Charlie, Delta, Echo, etc marked areas) rather than one big random one that leads to what I described above. Or alternatively, give us the option to squad up and spawn next to our squad. Whatever option you end up choosing (if you even consider them), please make sure to give us spawn options that are within travel distance or proximity to the objectives we are supposed to be taking or defending. This was the biggest problem I noticed from both episodes. People were able to abuse certain locations early on and snipe away at the turrets without defending team even knowing were enemy team were shooting from (they were shooting from pretty damn far away). This goes specifically for turret #4 and #1 which have areas that can be used to snipe them from like 500+ meters. Other turrets have similar issues. I'm no coding wizard, but you should be able to implement a simple check. Like if shot distance is greater than X, make damage zero. Make it so attacking team has to get in close, within 200 or so meters to be able to damage the turret. It shouldn't be this hard to implement. You guys already track shot distances in your game. Please revise this and implement something to prevent abuse. Probably the worst area to be low on health is the starting A area. There is no Heal / Repair area for the defending team near turret 1, meanwhile attacking team has access to 2 relatively close ones. Defending turret #1 is pretty hard when you are getting peppered slowly while playing a slow tank. You really have no option other than dying and respawning in something more mobile to defend, if you can even make it back on time. Starting area B and C have healing areas that are relatively close to each other while A doesn't. Legend: Red = Attacking Team's Snipe Areas, Blue = Defending Team's Snipe Areas, Yellow = ??? Give B and C more areas or access to sniping spots. If they are in fact supposed to defend, give them areas where they can defend from! I marked a Yellow area, because in the game, it appears as though you blocked access to that area by placing a rock. Maybe that point proved too strong or something or maybe you closed it off for some other reason. Maybe give Defending team access to that area to defend from. Additionally, to make it fair for both sides, give Defending team on C a route to the top overlooking C. You currently only have access to it from the Attacking point. Make another ramp for the Defending team to use to get up there. Make it similar to Mines or something where both teams have access to high ground. Some good suggestions, though I think Problem A and Solution B contradict one another... if you thought camping spawns was bad before just imagine if players got used to the same three spawn points. For Heal/Repairs, I'd actually like to see 2x the locations but then they are separated for attackers/defenders. I like your summary. I d add that wr need more bushes and trees and rock. If it is dynamic it should be more like paintball. We need more cover from wheelies and threy need more obstacles. Feels like nascar out there. +1. Well laid out post. It seems to me that Area A has the biggest defensive issue. I thought B and C were somewhat balanced with C being the easiest to defend. The spawn BS is the biggest problem I hope they address. Edited by PapioTitan, Mar 18 2019 - 22:55. To the second poster, they do not contradict each other. It is infuriating, to say the least to have the defenders being able to just roam at will behind the attackers as they have been allowed to do this time around. If they are able to do this, then whats the point of advancing, just sit right there and wait for the counter attack that will be coming. In other words, the original zone and then hold it until the timer runs out, problem solved. I as a defender always leave the area, I could care less about what I lost, it's more important to get down range and attempt to defend the next zone, and then the next until win or lose. There are not points, that I can really disagree with the OP about. Spot as far as I am concerned. More healing points on both sides and more balance zones w ould also help this mode. Problem A is confirmed by me as an Artillery Leech. Problem B happened to me once as well. Have no idea other than looking at the map and not respawning in a zone that looks camped/undermanned. You do get to watch the map and the scroll of dead. I rage returned to the lane I was in and got eaten in seconds. I loaded my WZ-132 and went chasing sheep. Problem C I think is by design. They knew you'd have to have a large area under visual dominance to prevent them getting shot up. That stimulates a lot of tanks into the respawn pile in an action-fest. Good times. Problem E has a lot of things to think about. A and B are subject to fast capping by quick tanks like that rental light, with engineering aboard. Then a defense is getting rolled 900m-1000m back before getting to set up again. The faster units find and again in A and B can detect and pin down D and E defense for a lot of perk fire and artillery. C is a farm. C is a farm because the cap is elevated and exposed. It can be spotted by nearly every tank in play from concealment if not cover in at least 200 degrees of arc. Add spotting planes perk and it often does not fall until main objectives have been reached. If the B-Lane artillery guy helps you out from behind, and a few fast movers flank through the valley from B, you can drive C clean, after B falls. Please remember that the whole point is for both teams to farm a lot of damage. You want the attackers to have a slight advantage at objectives A - E . When it gets to the final objectives, then I would think balance would be best. Defenders are just supposed to slow down the attackers and make the game last as long as possible. As far as I can tell, it does not even matter who wins - only how much damage over time, and the more time the more damage. There is a death timer for attackers if they enter into a defenders zone before it is captured. You only get five seconds before your nuked from orbit. Though there is nothing stopping defenders from re-entering a zone once the attack clear wave has gone off. Really they can't fix it or the super long range turret snipers would be totally safe. Same with the attacker's arty, soo many games I've gone back to find and hunt arty. I'd like more control of the respawn area as well, it would be nice if you could pick the left or right side of an area. Never mind the fact that sometimes it's stupid and drops you in crazy places if you don't take the time to check to see where the spawn is at. Turret sniping is something that was in the beta they never fixed, heck they don't even need the fancy thing your talking about. All they need to do is either change the angle the turrets are pointing in some cases or just add more buildings. Yeah a few more repair areas would be nice for the slower tanks, problem is the faster tanks could become nearly un killable then. Wheeled tanks are so fast it was easy to just jump from repair point to repair point when ever you needed to. I'd almost rather see a repair consumable, something you could use where ever. Though it would still need to be interrupted like the repair circles, so you'd need to be out of combat while it's working. Edited by Insanefriend, Mar 18 2019 - 23:55. Problem B: Never noticed this problem. I wonder if you respawned just as a team captured a zone and game mechanic didn't have time to put you back far enough? Look at the overview of map while waiting to respawn and this wont be an issue. For example if C is about to be captured, don't respawn there until it does fall or you'll be too close. If you want to try and save it even though 3 are capturing it, than you have to take your chances that you'll be killed instantly. Problem D: Agree. All zones both attacking and defending should have fairly easy repair zones to reach. Problem E: I'm fine with areas A, B and C. Each has its own way of being played. I used to hate defending A, but have learned with others how to do it. I don't care about farmers cause the game is NOT about winning and losing! That's the beauty of it.